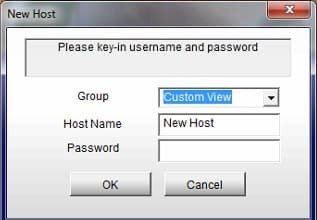 This article goes over setting up a custom view in the DMMultiview client software for Geovision. 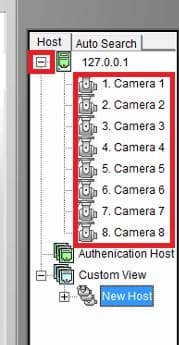 This comes in handy if you have multiple servers or cameras and need only to see a specific group of cameras on the screen. 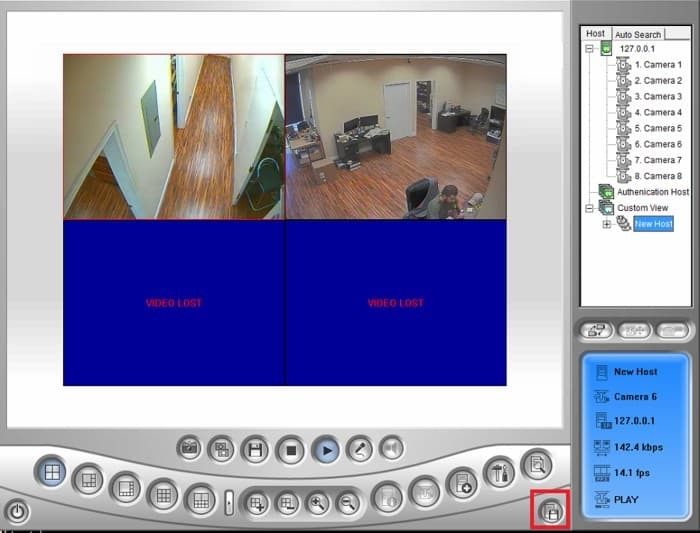 You can set up custom groups from multiple DVR / NVRs up to 32 cameras. GeoVision will allow you to save multiple groups, this way you can just click on the Custom View you setup and jump from group to group on the fly. 1. Log into the DMMultiview software. 2. Press the + button on the upper right-hand corner next to the host you want to change. This will expand and you should see the cameras that are connected to the DVR. 3. Now click and drag the cameras into the grid position you want them to display in. 4. Click the button in the lower right-hand corner that looks like a floppy disc. 5. Now just name the group and hostname. You do not need to set up a password. 6. The custom view will now show up on the left-hand side, under Authentication host. Simply double-click it and it should show the custom view you set up.